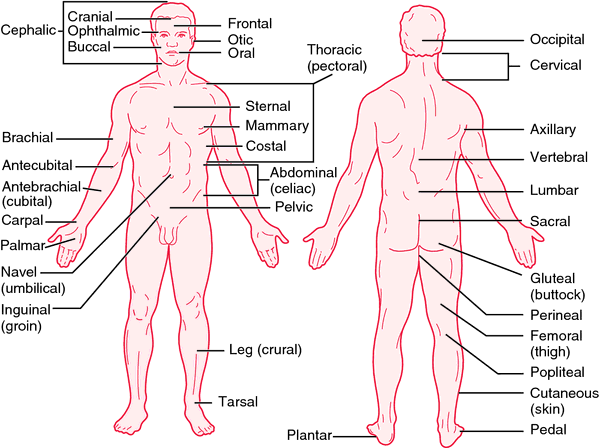 standard position of the body used when describing body parts and their relation to each other: standing erect, facing forward, feet together and arms at the side with the palms facing forward. 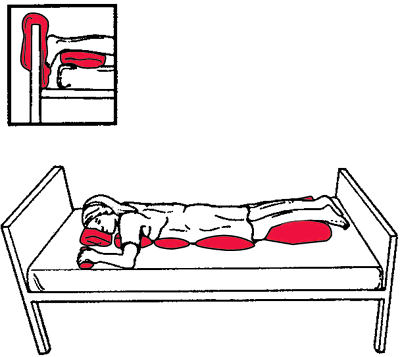 In this position: superior/inferior = nearer head/feet; anterior/posterior = nearer front/back; medial/lateral = nearer to/further from the midline; proximal/distal: in the limbs nearer to/further from the trunk; in other structures (e.g. blood vessels, digestive tract) nearer to/further from point of origin.